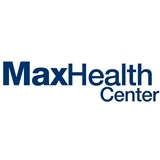 Max Health Center (New York) - Book Appointment Online! MaxHealth center is an innovative and integrative practice combining chiropractic and physical medicine. Our practice geared up to help those in pain and for those who simply want to be in the best health ever ! With emphasis on healthy lifestyle choices, we encourage our patients to work toward being proactive in their health & wellness. We use state-of-the-art diagnostic tools to obtain the most accurate information to formulate the best treatment plan for each and every patient. Personalized treatment plan and lifestyle modification recommendations are established to get you back to all the activities you love. We offer the best of both traditional medicine with alternative treatments to achieve optimum results. Our team of specialists includes: Physical therapist , Massage therapist , Personal Trainers, Board Certified Neurologist and Orthopedist . All the employees there, whether they were the main doctors, the massage therapists or the exercise therapists, maintained a incredibly professional and admirable amount of respect towards each other. Everyone was passionate and loving towards what they were doing. Doctor Fernandez was clear about what she wanted me to do, what she thought was going on with me and how I could take preventative measures so that my problem would not become something recurring in the future. She has become my new idol and I am so thankful for this visit.